IT IS 100% SURE THAT WE ARE GOING TO VISIT THIS PLACE AGAIN AND AGAIN. Me with my family and my brother’s family visited Pavna Huts for a weekend relaxation trip. We got the details from net and planned our relaxation break. we were just hoping that the place should be same as it is shown in the pics. But to our great surprise, when we reached there and Mr. Prasad briefed us, we took a round of the farm and the place is too AMAZING AND JUST WONDERFUL. The efforts the Pavan Hut team has taken to make the place is just unbelievable. The hospitality of Pavna Huts right from the owners to the cleaning staff is excellent. 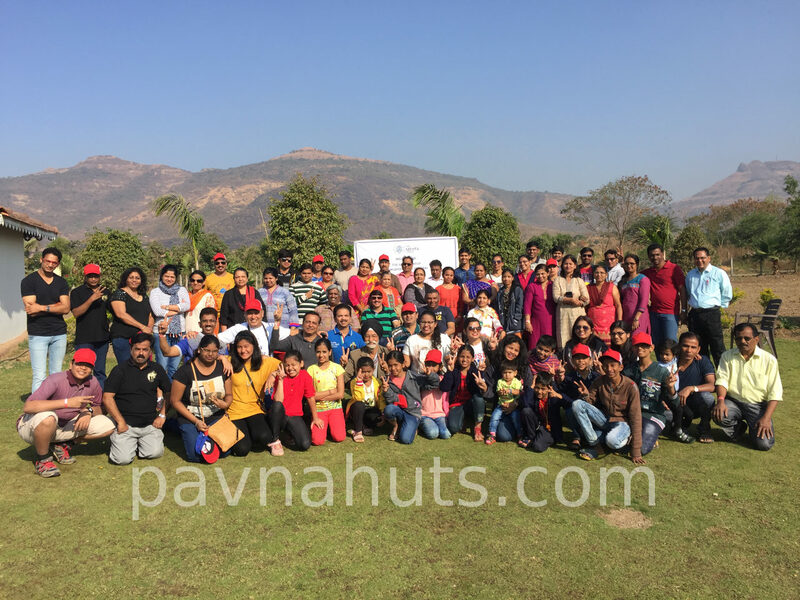 each and every question asked to any of the Pavna Huts team was answered in loving way. The place is most perfect for the family who want to relax along with lots of fun for kids and elders too. Another most important thing when we are out on trip is food. The food quality, taste and menu was just mouth watering. was happy to eat the simple but extremely tasty food. WANT TO SHARE A LOT ABOUT MY EXPERIENCE BUT i will say please visit personally and build your own experience. my best wishes to the full team of Pavna Huts. ” Employees club of our office organised overnight picnic at this place. They told us about the place, the facilities, the food & the events. Picnic was along with family. Family members were also excited. When we reached there, saw the place & when Mr. Prasadh Yelakarji brief us about the place, we felt that yes this’s the place we were looking for. Very peaceful, decent people, very cooperative staff & the food, Very very delicious & more important from organic farming. Whatever food they serve, they grow in there farm & in a organic way. Pithala Bhakari, Chole-chapati-cauliflower, Varan-bhat, Thecha, Sheera.. complete satisfaction. Children who do not eat at home, they also ate all these food items. Our club committee then organised the games like over-under ball game, animal farm, treasure hunt & lagori in garden area. Had swimming in a zero-chlorine water. Done some boating also & then went for the excited game.. games in a mud. We made two groups & played tug of war in mud. All participants literally had bath in mud. Then the evening DJ party started. All means all members participated enthusiastically in dance, games & bonfire. Had dinner in night. This time it also included one non-veg dish, so non-vegetarians were also happy. Night climate was very cool & pleasant. Some went for sleep in their cottages, some were still chit-chatting in the garden. Morning was very pretty & delightful. morning breakfast was also delicious. Poha-Upma combination was very good. And the time came to leave the place. Had group photographs. We decided then to visit pandava caves, which was just 15-20 minutes from the picnic spot & then left for home. All returned home with great memories. Yes all were tired but the minds were fresh to start the journey of life with new energy. 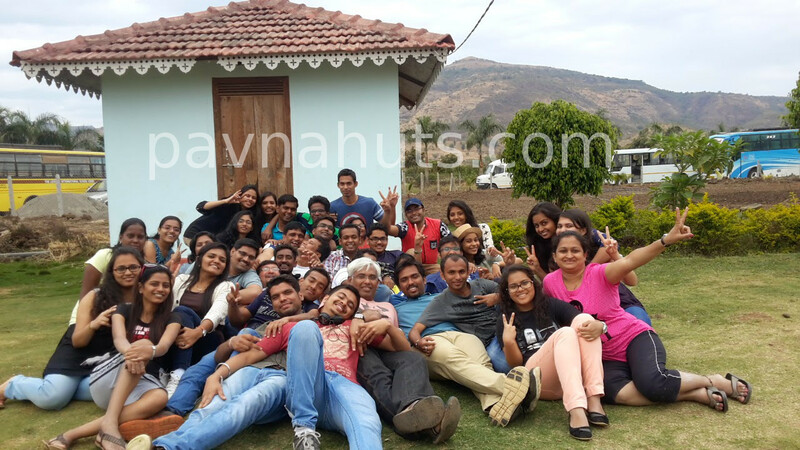 I feel confident recommending Pavna Huts as a picnic spot to go to near Pune. I love the friendliness of the staff & Mr Prasadh (Fantastic! ), their flexibility and not having to do anything the day of the picnic! You guys rock! Thanks again for everything. Our weekend picnic was a real fun and enjoyable event. I know I asked a lot of questions and was very detailed on a few things. You were patient and helped me through the whole process, which in the end made my life so much easier! Once again “Great Picnic Spot”. Keep it up.